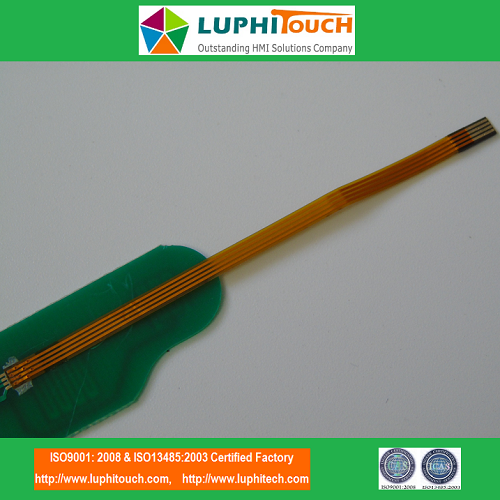 LTMSZYN0039 used the hotbar lamination technology for the flexble FPCcable laminated on to the rigid PCB. This technology need use ACF heatseal machine which is mainly used for those keypad which need assemble the flexible cable to rigid board or flexible cable to flex board and no need use ZIF connector. 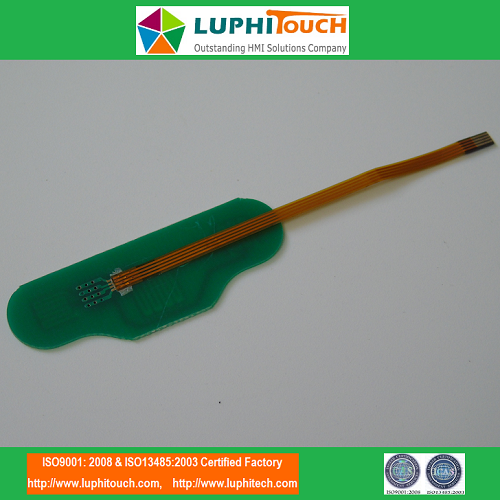 This keypad also has a silicone rubber keypad which wraping the border of the PCB for waterproof purpose. 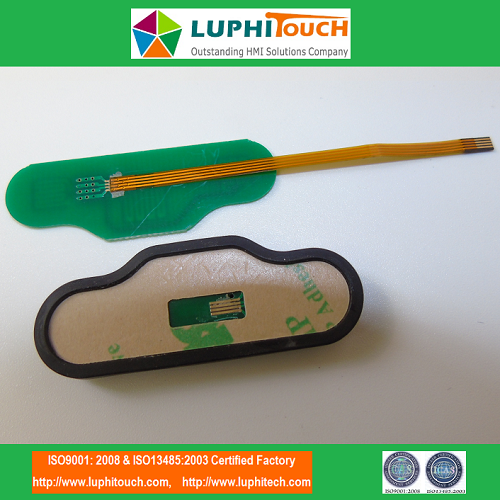 LUPHITOUCH is a professional designer and manufacturer for different kinds of Rubber Keypad Switches. We are ISO9001:2008 and ISO13485:2003 certified factory with more 10 years experiences in rubber keypad switches, capacitve Membrane Switches, LGF Backlight Membrane Switches, LEDs backlight membrane switches, EL lamp backlight membrane switches, Waterproof Membrane Switches, Medical Antibacterial Membrane Switches, intergated assemblies manufacturing and exporting. 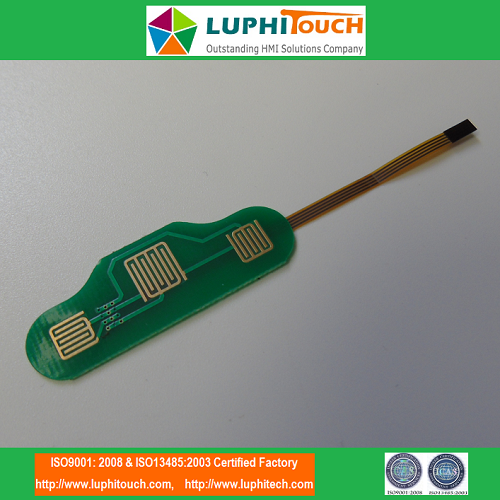 As we know the common membrane switch is usually use PET and PC film as the graphic overlay. 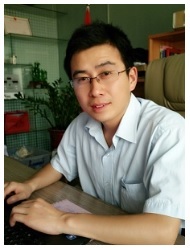 The product can be very thin, usually less than 1mm. But sometimes many customers design their product to be rubber keypad switches. Because of that rubber can give users a very good touch feeling. 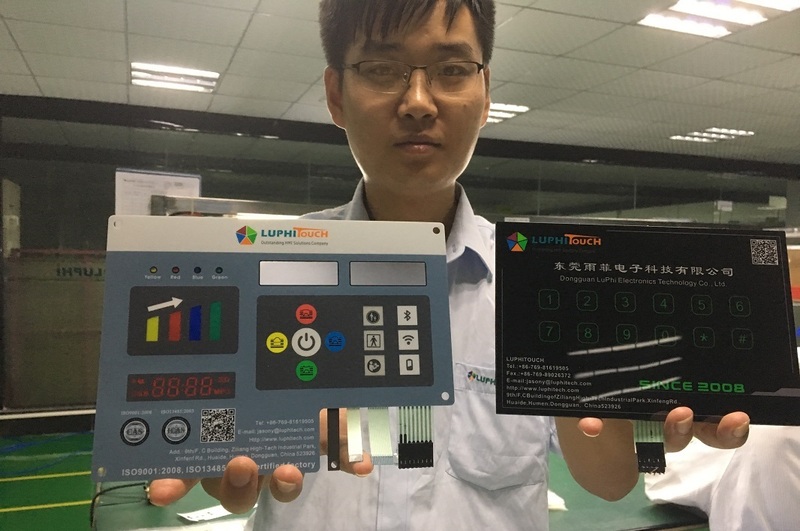 In addition, rubber keypads can make carbon pills on the backside of the buttons, the carbon pills are conductive, then it can be combined with PCB circuit very easily. We only need make the gold plated conductive pads on the PCB, then assemble the rubber keypad with PCB, when you press the buttons, the carbon pills will connected to the gold pads, then trigger function. Looking for ideal Hotbar Lamination PCB Membrane Switch Manufacturer & supplier ? We have a wide selection at great prices to help you get creative. All the Hotbar Lamination PCB Membrane Keypad are quality guaranteed. 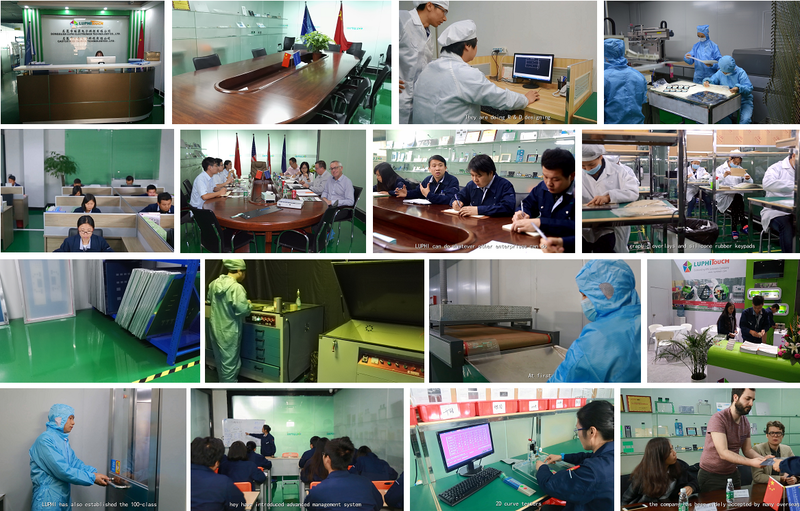 We are China Origin Factory of Hotbar Lamination PCB Membrane Keyboard. If you have any question, please feel free to contact us.